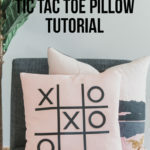 Do you ever feel like the simplest DIY projects sometimes end up being your favorites? That’s exactly how I feel about today’s project! 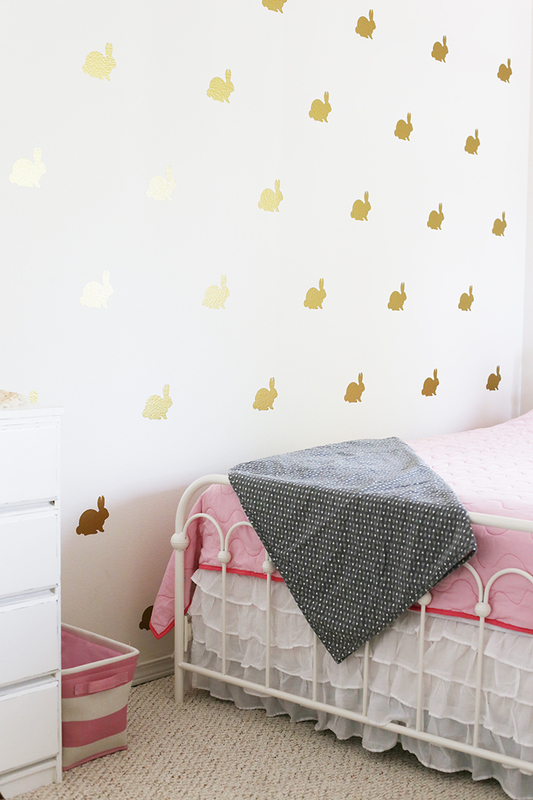 I’ve been working on decorating my girls’ room, and this DIY Vinyl Bunny Wall that I made with adhesive vinyl and my Silhouette machine turned out exactly as I had imagined! 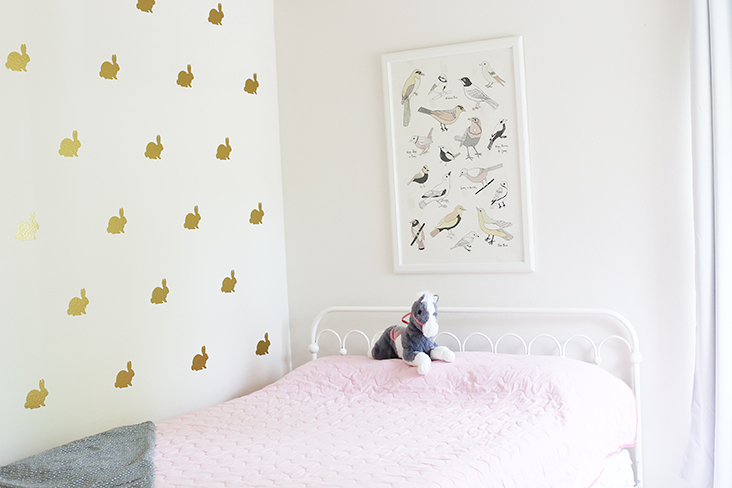 Wall decals have been a huge trend recently, and I have to say I’m a big fan! 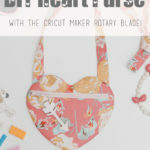 I love that they create a big impact without a lot of effort (are you with me?!). 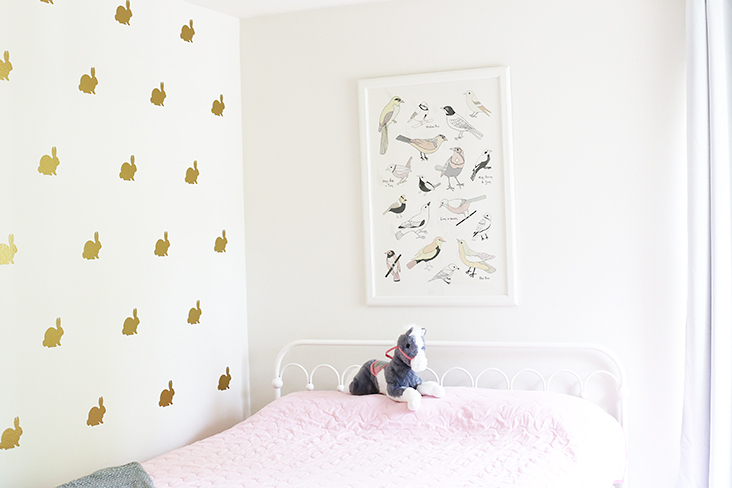 Even better, when you make them out of self adhesive vinyl, they are completely removeable, which makes them perfect for any space, whether it’s a home you own, a rental, or even a dorm room! 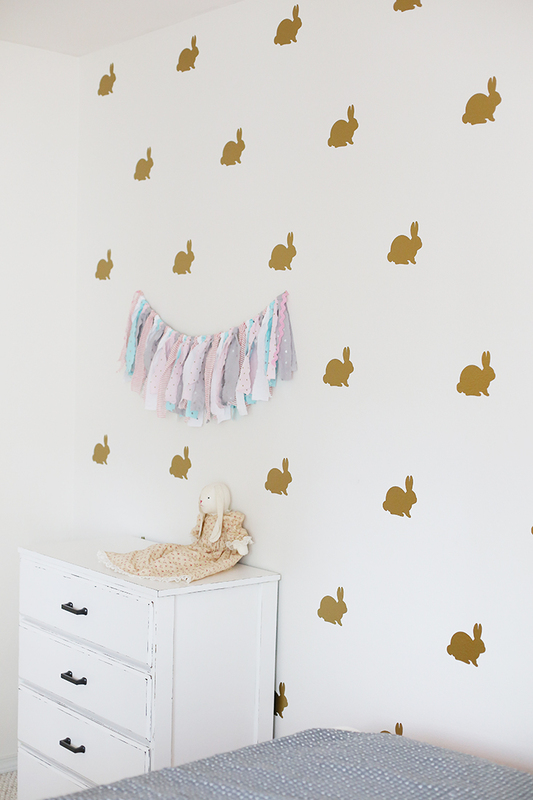 I used my Silhouette Cameo to create the gold vinyl bunny stickers, and below you can download the file to make your own stickers! 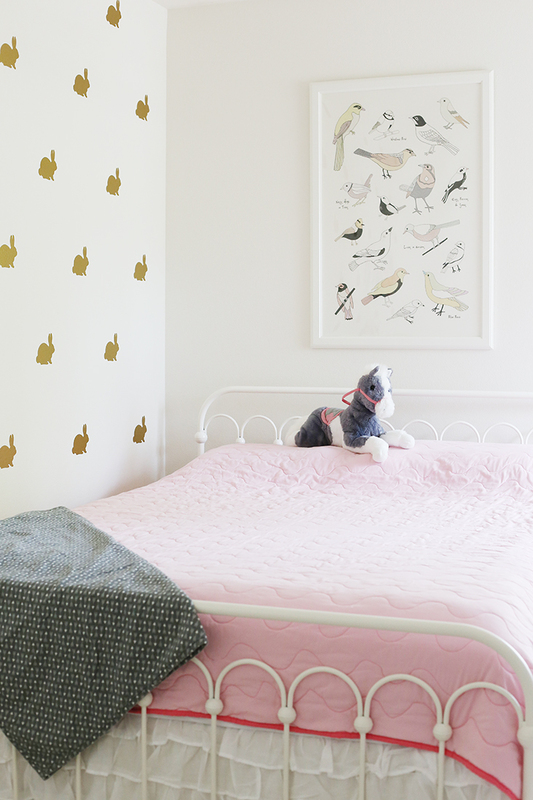 The options are endless for placement of your stickers. 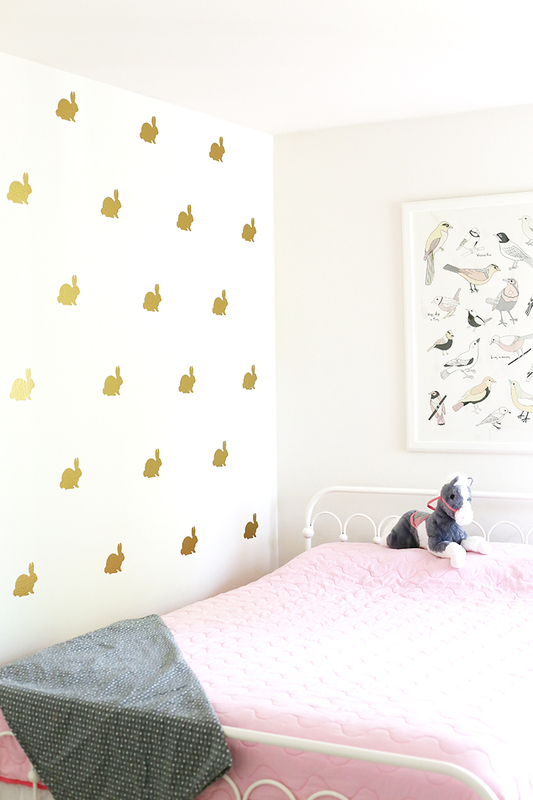 You could do random placement, just a few rows, or the entire wall like I did. I looove symmetry so this was an extra satisfying project for me! 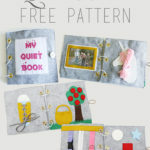 Do you remember what’s on the other side of this arrow quilt? 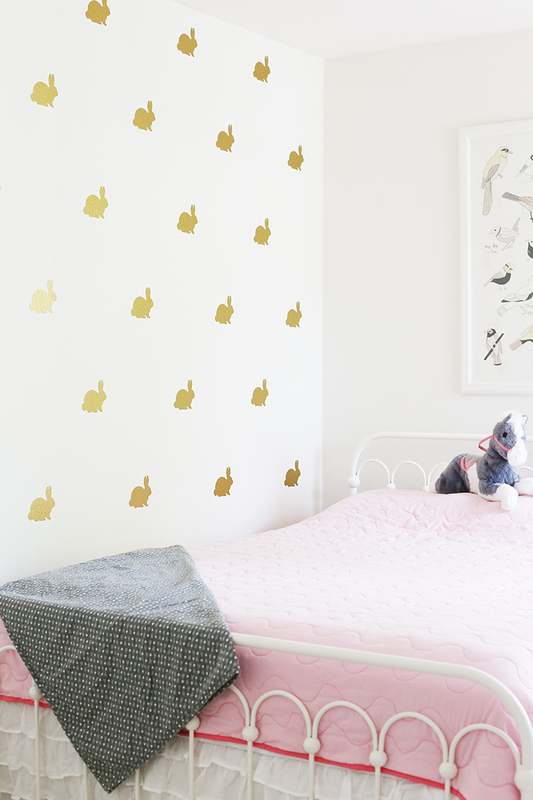 Hint: I may have a thing for gold vinyl, hehe. 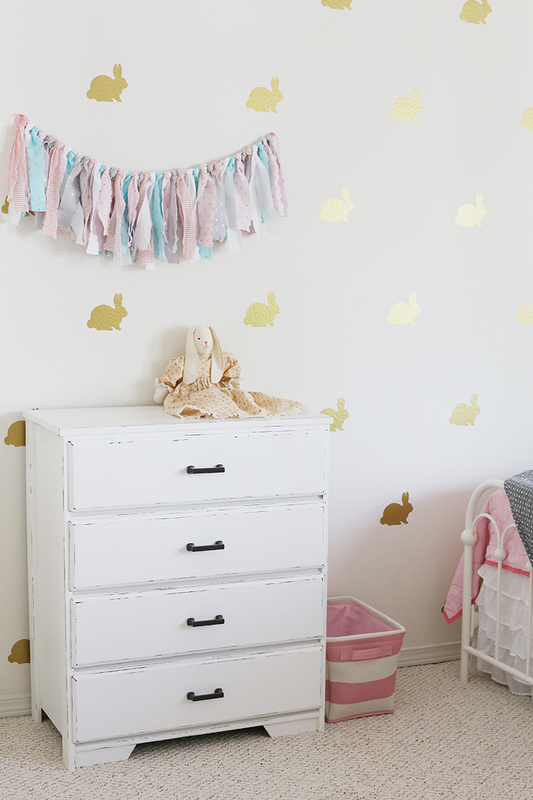 The little white dresser was one of my easiest furniture makeovers and the fact that I got it for $10 makes it one of my favorites, too! Download the FREE Silhouette file HERE. 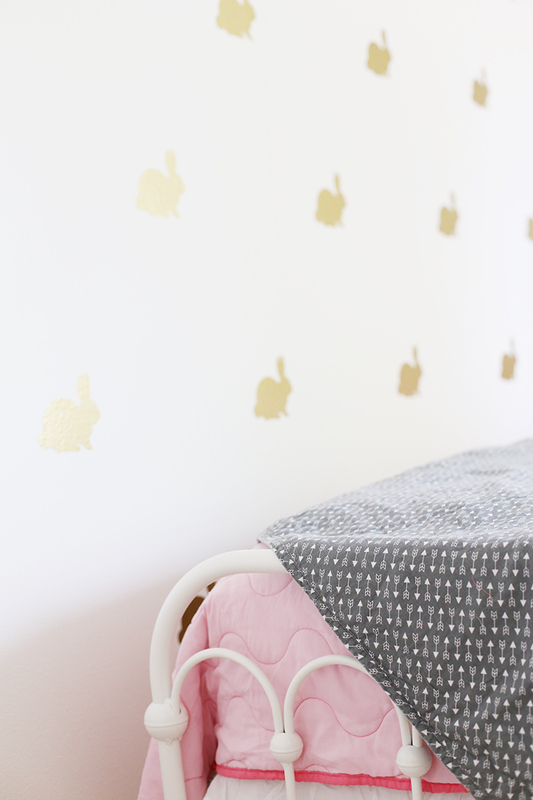 The file is designed to print 32 bunnies on a 12”x6’ roll of self adhesive vinyl. 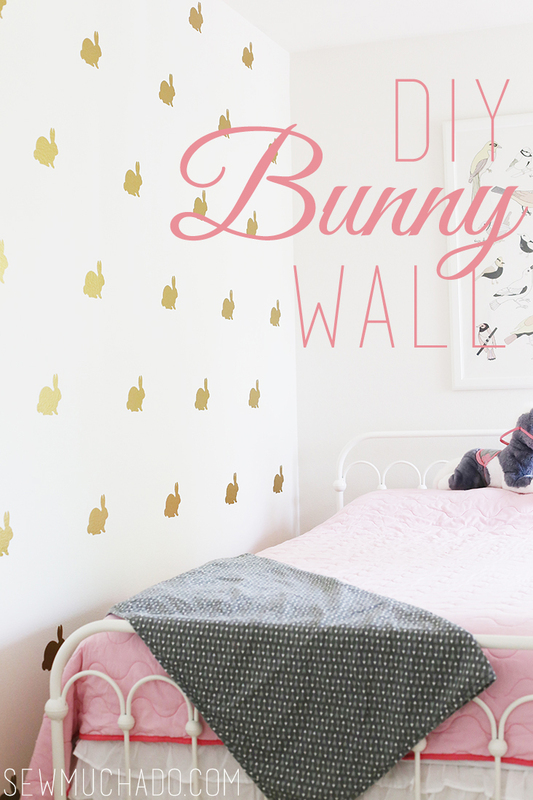 Measure your wall and determine placement/number of bunnies/vinyl needed for project. 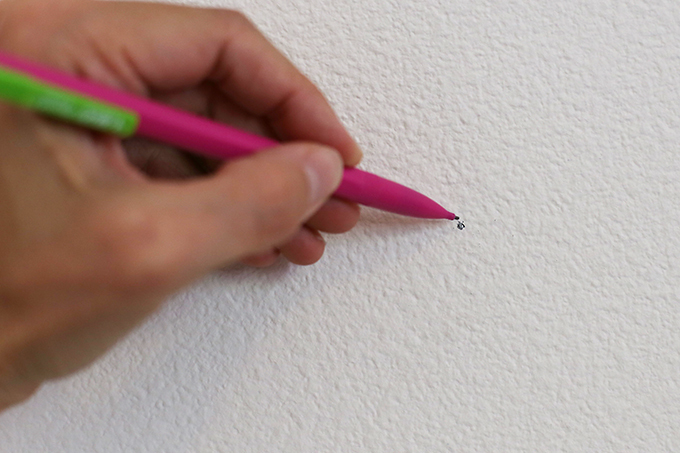 Use level and pencil to mark placement of bunnies on wall as desired. 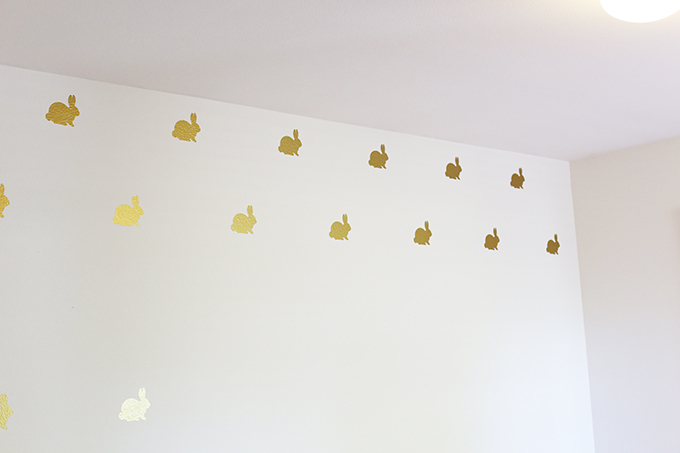 I spaced each bunny 18” apart horizontally and 12” apart vertically, offsetting each row from the rows above and below. 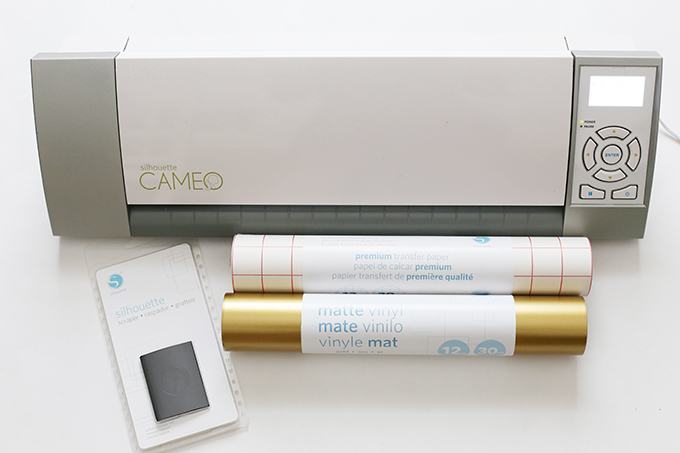 Adjust your Silhouette Cameo to load vinyl without a mat. 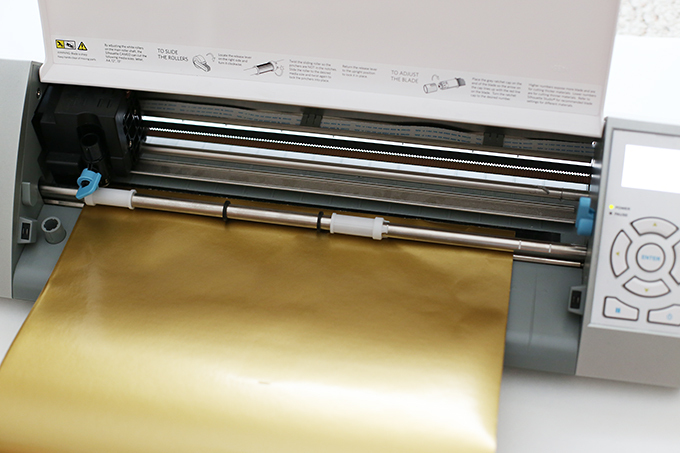 Each roller bar needs to be on top of vinyl to properly feed it through without a mat. 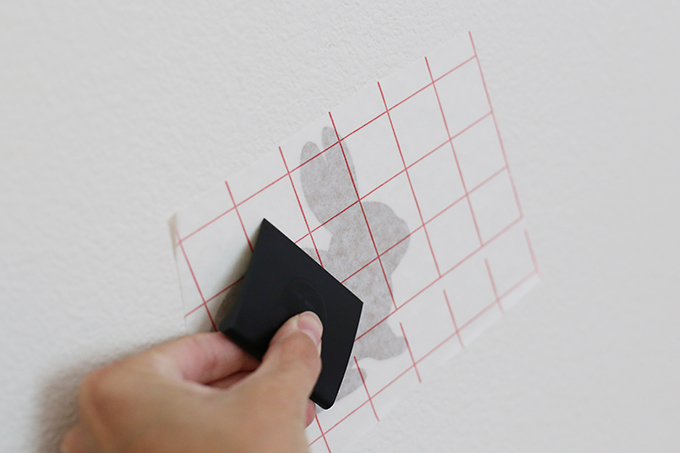 Do a test cut prior to cutting entire roll of vinyl. I used the default vinyl settings, but needed to decrease the blade setting to 1 for my machine, and it cut the vinyl perfectly. 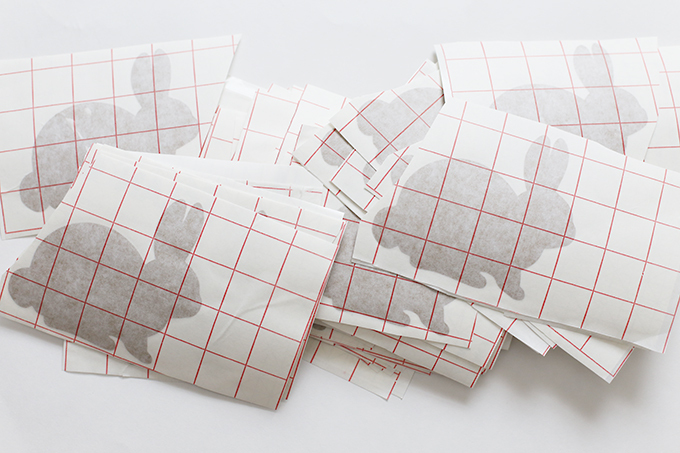 Once settings are correct, cut the amount of bunnies required for your layout. 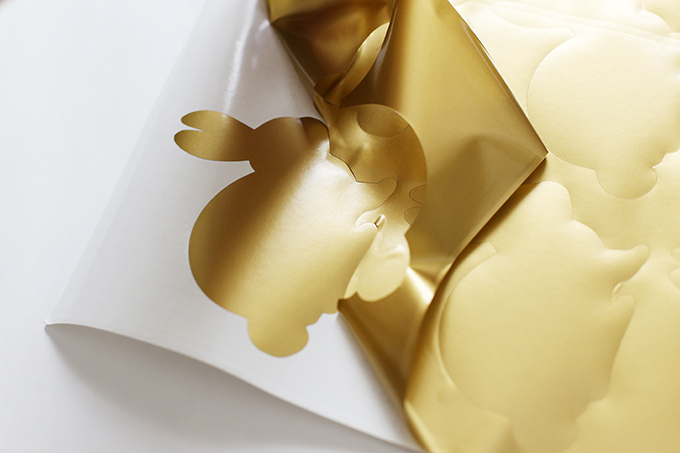 Carefully remove the backing from the transfer paper and apply the sticky side of the transfer paper to the vinyl. I find it helpful to use a long counter or table and tape one end of the vinyl to the counter or table to hold it in place. 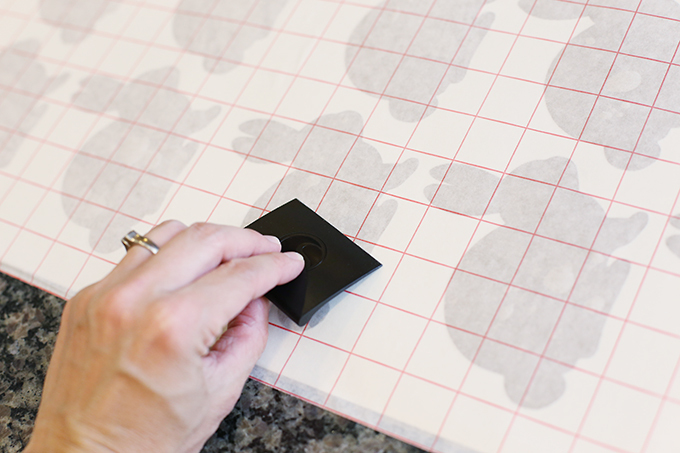 Use scraper to remove any creases or bubbles and attach transfer paper to vinyl. Cut roughly between each bunny. 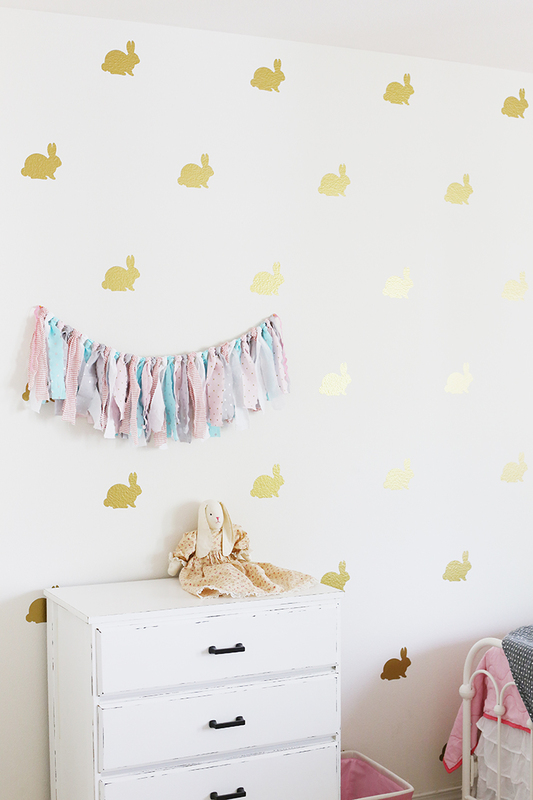 One at a time, peel away vinyl backing and stick each bunny in place, following markings on wall (use level to make sure bunnies are placed parallel to floor). 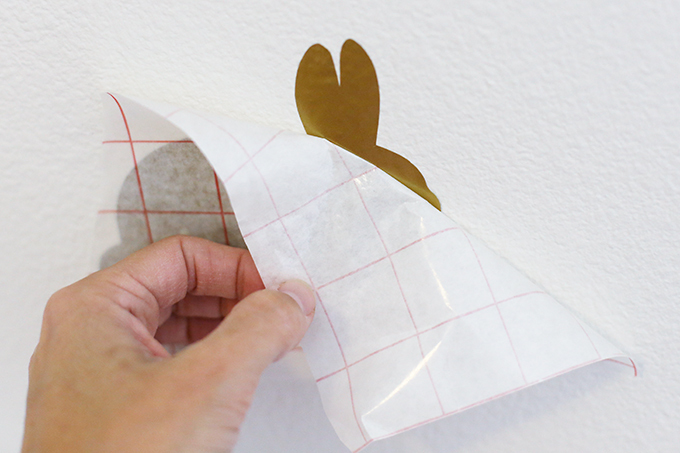 Use scraper firmly over each bunny, and peel away transfer paper. 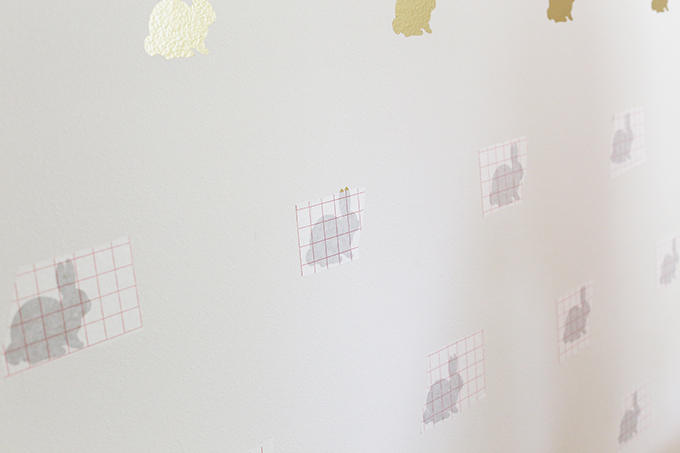 I did my wall in sections, and found it helpful to place/level a large amount of bunnies, then go back and use the scraper and remove the transfer paper. Great job! 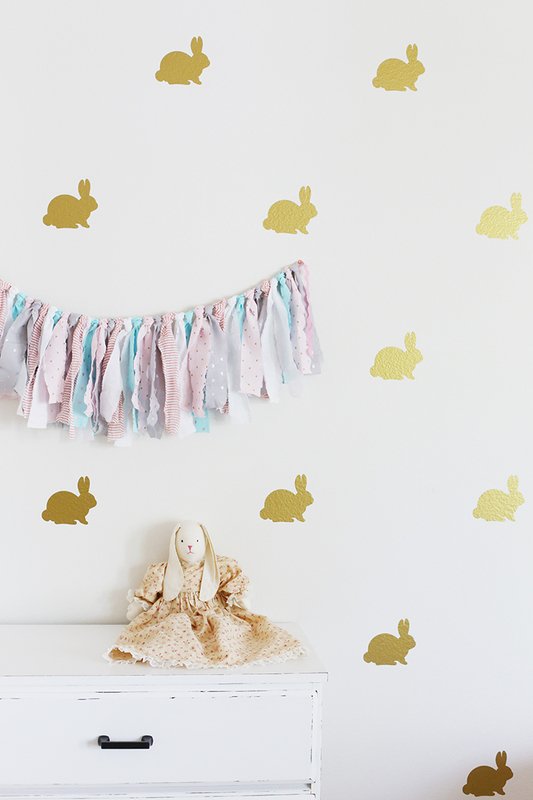 You now have a hoppin’ new wall that was easy to make and can be switched up easily when you’re ready for something new! That is so fun! 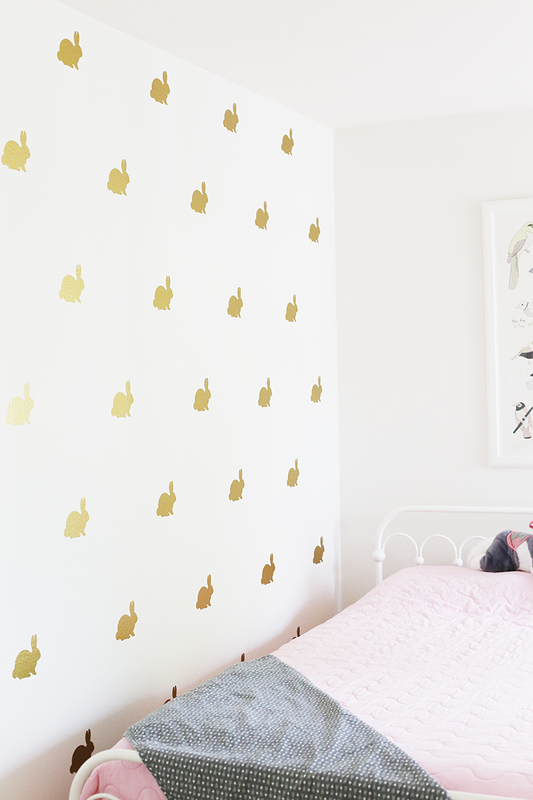 I tried to add vinyl decals to a wall in my daughter’s room but just couldn’t get them to stick… maybe I need to try again! 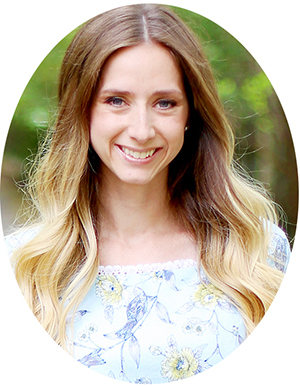 Thanks so much Charity! 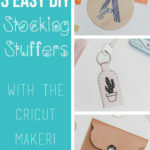 It was such a fun project! 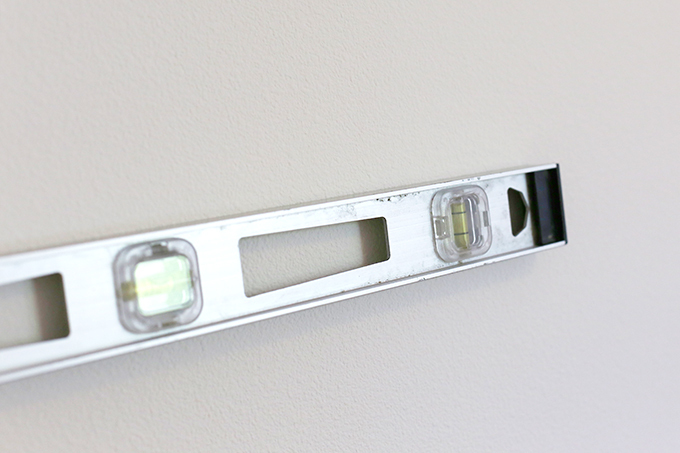 I’m guessing that the paint finish on your wall is causing the trouble with it not sticking?